Will need to update post but wanted to get this down now. 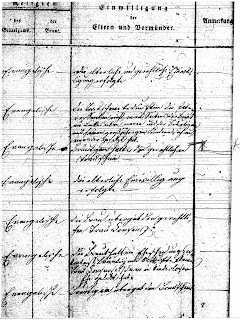 This post talks about the mill owned or rented by John Ingram in Llananno Wales and about their son James Ingram and his coming to the US. Today I am writing about the marriage of Friedrich Formazin [Fermazin] and Louise Bonau. 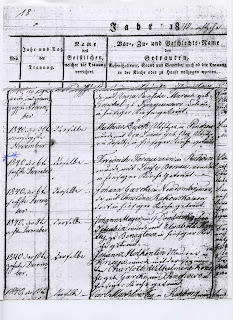 Fredrich married Louise Boanau in Ruhden, Posen, Prussia. He was single and the marriage papers stated his father was deceased. 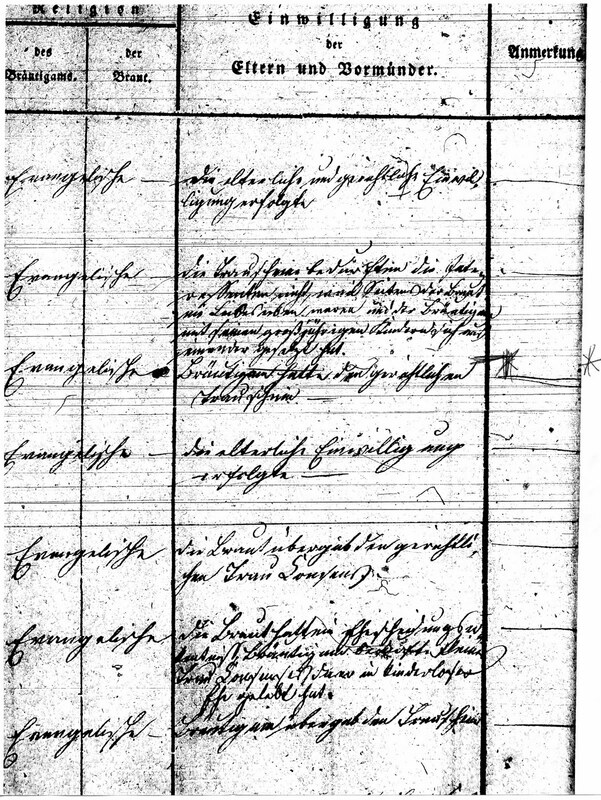 In researching our family history in Posen, Prussia, [present day Poland] we found Friedrich Formazin was the son of Daniel Formaezyn born about 1785 and Mariana Soblinska. I know quite a bit about August Fermazin so will write a post about him and his family. One member of his family came to Chicago to see her Grandpa Friedrich Fermazin and stayed on to get married in Michigan. Then of course we lose her in the records. [Friedrich Fermazin came to the USA in 1879 with his third wife, Caroline Hartwig. I am getting ahead of myself. Louise Bonau is not my direct line. After her death Friedrich married twice more. 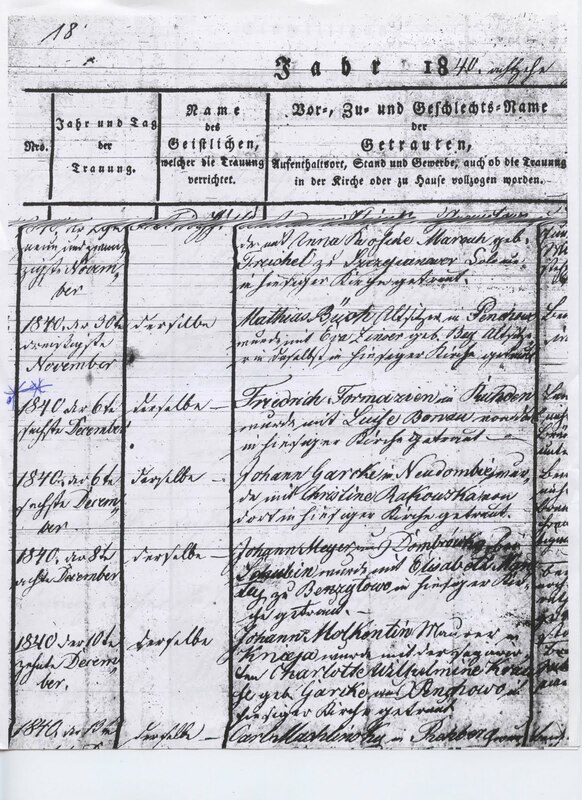 I am descended from the second family: Friedrich Formazin and Justine Brauer. Love Letters, Lies, Half-Truths – Who Knows? Nancy Ames, twenty-one, was dressed beautifully on her wedding day. A broche with Lou’s picture graced her left shoulder. Full eyebrows, hazel eyes, and dark brown curly hair were piled on top of her head. Lou Hansen, twenty-five, wore a black silk suit, a top hat, and a diamond stickpin in his lapel. 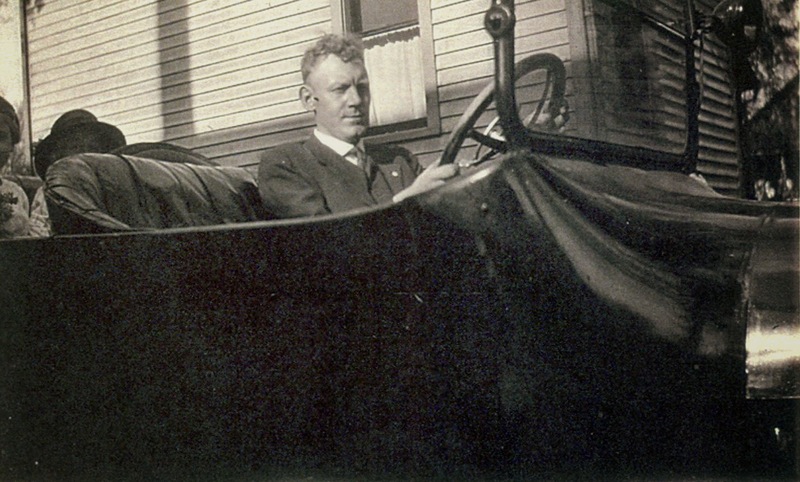 His salary was $ 90.00 a month and he owned a 1903 Oldsmobile, a well-to-do gentleman by any standards. “I do,” said Lou as he slipped the one-carat ruby ring, engraved with “Nancy 1906” on Nancy’s finger. Nancy placed a matching eighteen-carat gold ring inscribed “Ludwig 1906” on Lou’s finger. They moved into a Queen Ann-style house, lavishly decorated in romantic and feminine décor with a green Persian rug in the center of the drawing room. Palm trees adorned the rooms. The wood, marble and brass were highly polished. My grandmother, Nancy Ames Hansen Worthing, was nothing more to me than a name on a family tree before I took on the task of writing about her. I was always curious about the grandmother for whom I was named. That curiosity leads me to find out more about her. I know a little about her from Mom’s faded recollections, census records, newspaper articles, divorce papers, pictures and a death certificate. Nancy died from a brain tumor when Mom was twelve years old. My mom, Grace’s memories faded throughout the years. Mom remembered her walking her to school and as the mother who held her close, hugged her a lot, and read stories to her in bed on rainy days. To honor and remember her, Mom and her cousin Margaret named their daughters Nancy. Nancy grew up in a one-room shack on Lake Koshkonong, Wisconsin. They lived a hardscrabble life. She was born in 1883, the eighth of twelve children, three living older brothers and three living younger brothers. Her father, Ira, was a Civil War veteran who suffered from alcoholism, PTSD, and chronic pain from measles pneumonia. Newspaper accounts stated, he sold his wife’s garden for booty. Ira started out married life as a farm owner, then laborer, then a fisherman living five miles from his nearest neighbor. Nancy’s mother, Cornelia, died from pneumonia and starvation in childbirth when Nancy was nine years old. Her three older brothers were sent out on their own and she and her three younger brothers lived with their father for three years. Ira died when she was twelve. Nancy was sent to the Sparta Orphanage until age seventeen. After discharge from the orphanage she worked as a servant in Wisconsin and Illinois. I think she met her first husband, Lou (Ludwig Hansen) while living in Illinois. Lou lived next door to Nancy’s brother, Hiram. Lou, too, was orphaned at age twelve in New York City. I have no information on how Lou ended up in Illinois or where he met Nancy. Blanche was born in 1908. Soon after, the marriage deteriorated. Nancy and Lou divorced in 1913. After the divorce, Lou publicly humiliated Nancy accusing her of having an affair with a man named, J.P. Glass. Lou published accusations in the newspapers with contents of letters Glass had sent to her. Mrs. Hansen got a divorce in Wheaton, September 10, 1913. Her present address is unknown. She is said to be living in Chicago . . . .
Hansen said that Glass convinced Mrs. Hansen that he was her soul mate. convince her that he was telling the truth. Mrs. Glass took in Mrs.
Hansen as a [domestic] servant after she left her husband. My mother died not knowing about these published letters. Our neighbor, Mrs. Hamer once told my mother that there was a scandal about her mother’s first marriage but would not give Mom any details. It was only while I was doing genealogy research that I stumbled on to the newspaper articles. Excerpts of a letter bearing the date of September 18, 1912: “I am sending you $2—am sorry it is not more—will probably make up some day. I received your letter and card O.K. It is always safe to write in care of J. & S. at Joliet, for no one else will see any letter that comes there. [Glass was working as a railroad conductor at this time.] Of course we could not do any talking when you were over: for there were too many ears and eyes. But I want to give you credit for being close mouthed. You are all right, kid. No one will ever learn anything from you.” This leads me to believe that Nancy answered Glass’ letters and that while she was working as a domestic servant at the Glass household, Mrs. Glass and the children were around so she and Glass could not talk. I am not privy to what she may have written but I hope she asked Glass to stop. Some of the neighbors looked me over when I rang the bell, but if anyone says anything just tell them I happened to be in town and came up to pay you for some work you did for us and arrange to have you come and do some more. I don’t want to do anything that will cause talk or make any trouble, but I can’t tell you how disappointed I felt. Now, dearie, let’s not try to make any more dates by mail, but you come over the first chance you have and manage some way to see me on the side and we will talk it over and make arrangements. I am so impatient to see you that I could fight some one. I wish you had a phone – it would make things so much handier. Hoping for better luck next time, I am your loving affinity. J.P. He sounds like a cad to me and that Nancy was not interested in carrying on with him. She may have been gone that afternoon or just not answered the door, or afraid Lou would come home and find Glass there. I want to believe this was a one-sided affair on Glass’ part. “Dear Nancy, I have wanted to talk to you so long and never had a chance, as there was always someone around. Dear girl, you do not know how much you mean to me. I would not say that I love you, for I am not sure that I ever really loved anyone or that I know what real, true love is. But I will say this much, I think so much of you that if we were both free and you would have me, I would marry you tomorrow…. Yours, J.P.” Neither was free. Just wishful thinking on his part. He was married with three children and Nancy was married with one child. Nancy’s divorce papers state that Lou beat her and infer that she was in the hospital from the beatings. The papers also stated his affairs with lewd women in Chicago, and that he once held a revolver to his wife and daughter’s heads. Lou was in contempt of court for not paying alimony and child support. During the marriage and the divorce proceedings, Nancy hid her daughter, Blanche, with her brother Marvin in Janesville, Wisconsin, sixty miles away. Lou responded to the charges by claiming Nancy was out all night with other men and came home intoxicated. After the divorce, Nancy worked as a maid in an affluent Wheaton, Illinois household. There she met and married Charlie Worthing, the chauffer. They married on September 15,1915 and moved to Truro, Iowa. I know when they lived in Truro that they belonged to the Worthing Baptist Church. Nancy was an Eastern Star and Charlie was a mason. I know a little more about my Grandmother, Nancy’s life. However, much of what I’ve found provokes more questions. Did circumstances turn out the way they did because her role model growing up was a mother aged beyond her years from raising twelve children on the prairie in a one-room shack? Or a father who was an alcoholic? Did being an orphan and working as a servant lead her to marry a young, wealthy man (Lou) who showered her with affection and worldly goods? Was she a distraught wife? Did Lou beat her? Did Lou actually hold a revolver to their heads as the divorce papers state? Was she involved with Mr. Glass romantically or were the Glass’s sheltering her from Lou? Was she infatuated and craved the attention Glass showered her with? Did she marry Charlie for love, security, or escape from publicity? Did Charlie offer her the anonymity of living in Truro, a town of 300? The discovery of finding these published letters long forgotten, brought sorrow to so many more unanswered questions and me. Of the letters published, there were only the ones written by Glass. Although the newspaper indicates Nancy wrote back, Glass must have destroyed them. The letters only provide a glimpse into my Grandmother’s life. I wonder if my Grandmother ever imagined her granddaughter would find these newspaper articles. I wish to paint a picture of my grandmother being mistreated in her first marriage and living “happily ever after” in her second marriage. However, from my own experience, I know there is always some truth to rumors and innuendos. I want to think my grandmother was not having a clandestine affair with Mr. Glass. I want to believe she was very humiliated and saddened by the exposure of the letters. And that she was infatuated with Glass’ attention since her marriage did not work out. I hope she found some happiness in her Truro life raising her two daughters, Blanche and Grace. I knew Lou from a child’s view. After Blanche died, Lou came to live with us. He had no relatives. My mother felt sorry for him being alone and elderly. He lived with us for six years until he died. I remember him as a bitter, mean, nasty old man who only loved his mint condition Model T Ford and his parakeet. He always told my sister and I at the dinner table that, “Children should be seen and not heard”. In other words no talking about our day I remember him baby sitting for us one night and chasing us through the house with a razor strap. We hid behind a rocking chair for hours until our parents came home after midnight. “Come children, we have to get some help here. Hiram and George, you two get some coal and wood and get a fire goin’.” Irritated, Ira shouted, “Nancy, quit blubbering and gather up the little ones or I’m going to send you for the doctor. I’ve got to get some help for your ma. Be back in a few hours or so,” he said as he slammed the door shut, trudging out into the cold. After returning home from the war, Ira met and fell in love with Cornelia Palon. I envisioned him feeling that with love he could overcome his depression. They married in Albion, Wisconsin on June 25, 1868. Work was hard to come by after the war. The first years were particularly difficult. According to the census, their status in life deteriorated. Ira worked as a farmer in 1870 in Albion. [ix] By 1880, he was listed in the census as a day laborer living in Milton, Wisconsin. [x] In 1890, the Ames’ were living eight miles north at Gebo Point, on Lake Koshkonong. During this time, I imagine the demons came back to haunt him and he began to take up the bottle. The family suffered greatly from their father’s drinking habits. It was a hardscrabble existence. Things were not always been like this. I imagined Ira had dreams, dreams of settling down, buying a farm, raising a family…. That was in the beginning. The family could not survive without food and heat during this severe winter of 1893. Without proper care, the twelve by eighteen feet, one-room house, became a shack of wide, rotting, gray boards running up and down with cracks in the walls allowing the brisk, cold air in and the heat to seep through the openings. [xii] I pictured their meager furnishings consisting of a table sitting in the corner covered with a red cloth, two beds, the family Bible open to Psalms on the lone dresser, and a shiny black, polished cook stove in the center of the room. The family lived in a lonely place about 80 rods (half an acre or half a football field) away from the nearest neighbor. Ira began to drink more and more and worked less frequently, and cared less and less about the family. He attempted to work as a fisherman, but was not doing well during this winter. They were isolated. There were no close neighbors. Possibly, they were so poor and working so hard to survive that they did not have time to socialize or Cornelia was so ashamed of their poor existence she did not associate with the neighbors. I visualized them living a hardscrabble life. Two years later, in March 1895, Ira died. [xiv] I conjured the following picture of him: a man in despair and depression from a broken heart. Life had taken its toll. Nelia was dead, the children were gone, and fishing was poor. The demons had returned and he had begun to take up the bottle again. His spirit was broken, battered and bruised. All he had were memories. My heart aches for my great-grandparents, Ira Daniel Ames and Cornelia Palon. For most people, life gets better as time goes on but for them it seems to have gotten worse. The depression came along with the sadness and deaths. They were unable to get out of the poverty existence. [i] ___________. “Didn’t Know Her Sister Starved Near Milton.” Janesville Gazette, 6 May 1893. [ii] Lesy, Michael. Wisconsin Death Trip. University of New Mexico Press. 2nd ed 2000. (First published in 1973, this book is about life in a small turn-of-the-century Wisconsin town has become a cult classic. Lesy collected and arranged photographs taken between 1890 and 1910 by a Black River Falls photographer, Charles Van Schaik). [iii] Swart, Hannah. Koshkonong Country - A History Of Jefferson County Wisconsin. W.D. Ward. 1975. [iv] __________. “Mother Froze to Death, Babes Barely Saved.” Janesville Gazette, 7 March, 1893. [v] Whitten, David O. https://eh.net/encyclopedia/the-depression-of-1893. [vi] National Park Service. U.S. Civil War Soldiers, 1861-1865 [database on-line]. Provo, UT, USA: Ancestry.com Operations Inc, 2007. 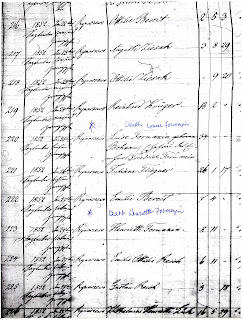 [vii] "United States Civil War and Later Pension Index, 1861-1917," database, Family Search (https://familysearch.org/ark:/61903/1:1:NHMQ-6YM : accessed 31 December 2015), Ira D. Ames, 01 Jul 1882; from "Organization Index to Pension Files of Veterans Who Served Between 1861 and 1900," database, Fold3.com (http://www.fold3.com : n.d.); company D, regiment 8, , NARA microfilm publication T289. [viii] _________. “Ira Ames is a Dead Man Indeed, Traded his wife’s garden as boot for swapping horses.” Janesville Gazette, 9 March, 1893. 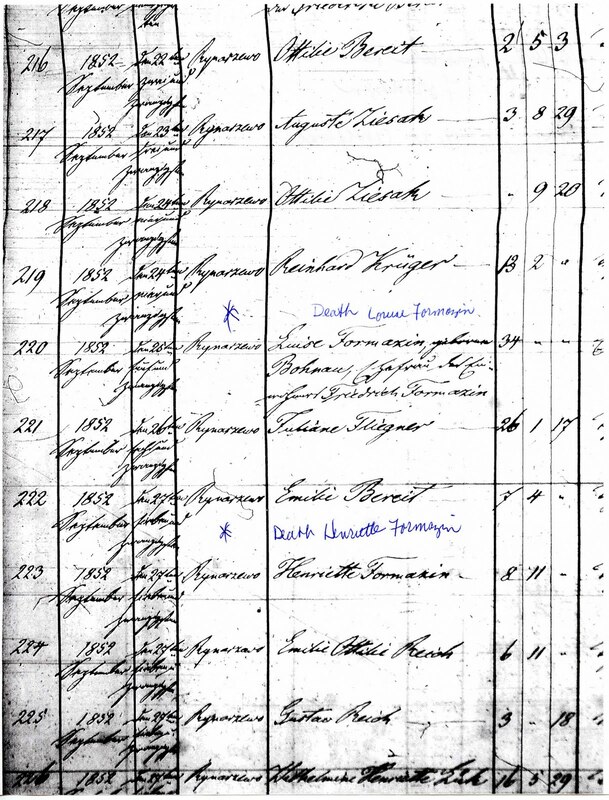 [ix] "United States Census, 1870," database with images, Family Search (https://familysearch.org/ark:/61903/1:1:MN9W-D99 : accessed 31 December 2015), Ira Ames, Wisconsin, United States; citing p. 4, family 30, NARA microfilm publication M593 (Washington D.C.: National Archives and Records Administration, n.d.); FHL microfilm 553,207. [x] "United States Census, 1880," database with images, Family Search (https://familysearch.org/ark:/61903/1:1:MNHX-S7L : accessed 31 December 2015), Ira Ames, Milton, Rock, Wisconsin, United States; citing enumeration district ED 193, sheet 328C, NARA microfilm publication T9 (Washington D.C.: National Archives and Records Administration, n.d.), roll 1444; FHL microfilm 1,255,444. [xi] Cornelia Ames Family Bible (1868-1968) The New Testament of our Lord and Savior Jesus Christ (American Bible Association) (1875) now in possession of Nancy Fermazin Peralta, Buena Park, California. [xii] __________. “Mother Froze to Death, Babes Barely Saved.” Janesville Gazette, 7 March, 1893. [xiii] __________. “Mother Froze to Death, Babes Barely Saved.” Janesville Gazette, 7 March, 1893. [xiv] "United States Records of Headstones of Deceased Union Veterans, 1879-1903," database with images, Family Search (https://familysearch.org/ark:/61903/1:1:V6H3-CWQ : accessed 31 December 2015), Ira D Ames, 21 Sep 1895; citing Mitton Junction, Rock, Wisconsin, NARA microfilm publication M1845 (Washington D.C.: National Archives and Records Administration, n.d.), roll 1; FHL microfilm 2,155,576. My dad always referred to Grandma Minnie as his “mean grandmother”. I feel that was a misnomer. Misnomer is from the French indicating a lack of fit when it comes to naming according to Webster. So I am going to tell you why. I did not know Great Grandma Minnie. I think I only met her twice. However, I have researched her and talked to my Dad's cousin Char and gained insight into Minnie's life and times. I gained great admiration and respect for her. Minnie did not like my dad and his sister talking at the dinner table or interrupting when she was visiting. Dad said she always told Grandpa that “children should be seen and not heard.” Dad and his sister, Lola, cowered whenever Grandma Minnie spoke. One remembrance that Dad told was when I was born: Grandma Minnie sent Dad’s uncle Leonard to Copley Memorial Hospital that day. A long silence ensued. No answer. Leonard yelled, “That’s it then!” and stomped out of the room. Mom just sat there holding me and staring at Dad. Not everyone saw Minnie in the same way. My Dad’s cousin Charalways described Grandma Minnie as warm and gracious. She spoke fondly of Minnie and loved her dearly. After Minnie’s death, Char rescued Minnie’s set of Lenox fine china, which surely would have been tableware for her sister, Nettie’s cats otherwise. converted to Catholicism out of respect for Minnie. Wilhelmina Elisabeth Pluecker was the daughter of immigrant Germans who came from the village of Kohlgrund in Fulda area of the Hesse, Germany. 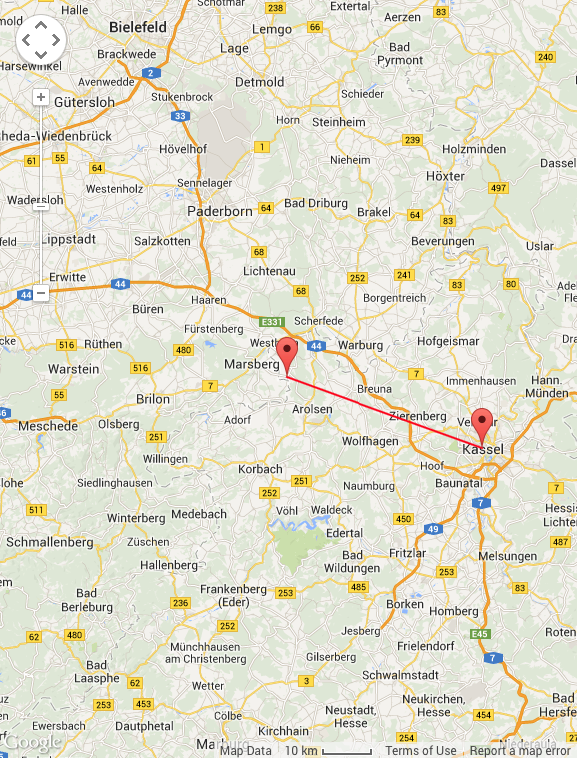 Figure 2: Kohlgrund, Germany is 40 miles north west of Kassel, Germany. Hessians. The Pluecker’s settled in Aurora, Illinois in 1868, 40 miles west of Chicago. In 1885 Minnie married Charles Fermazin who was an immigrant from Popowo, Posen, Prussia in1876. He arrived at age 9 and met and married Minnie when he was 20 years old. She was 18. They made their home in Aurora for four years. He was raised on a farm so in 1889, when the opportunity presented itself for the family to farm in Minnesota, they took it. Charles’ half-sister Caroline Steingraber was living in Lakefield, Minnesota so this paved the way for them to settle there. 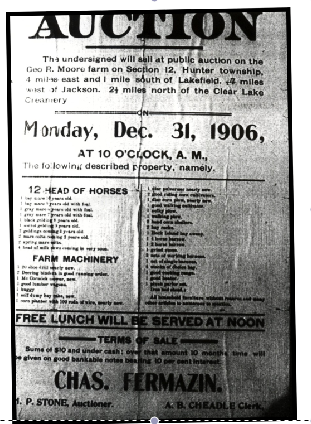 Lakefield had many things to offer. It was a German Lutheran community with rich farmland at cheap prices. 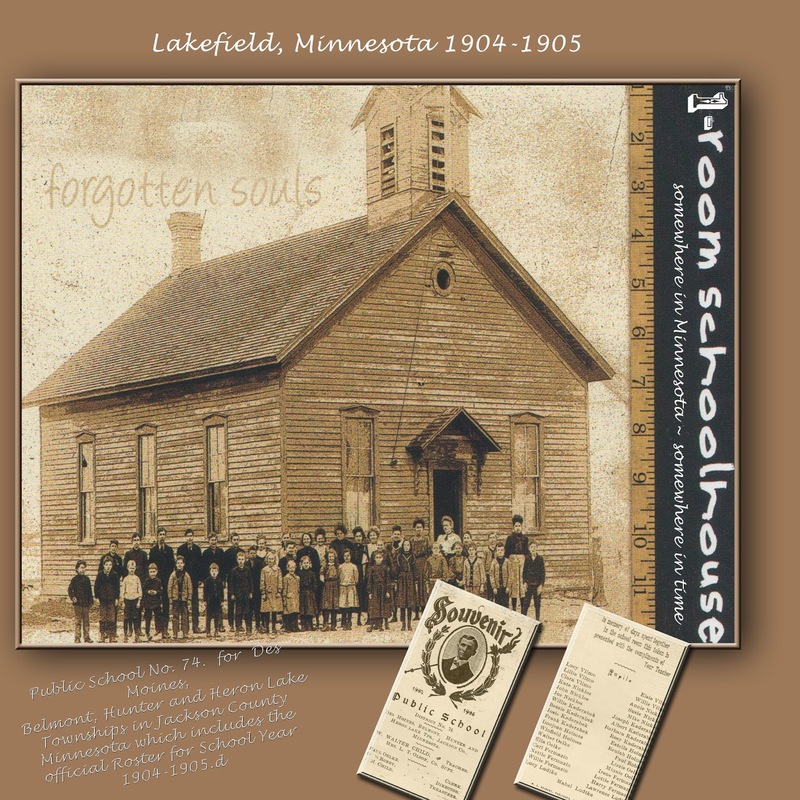 Lakefield had electricity, a dentist office, a hospital, a grain mill, a train station, and in 1897, telephones and a high school, which would give the older children the opportunity to receive a high school education. The children received their primary education in a one-room schoolhouse. Figure 3: Lakefield, Minnesota. One room schoolhouse. 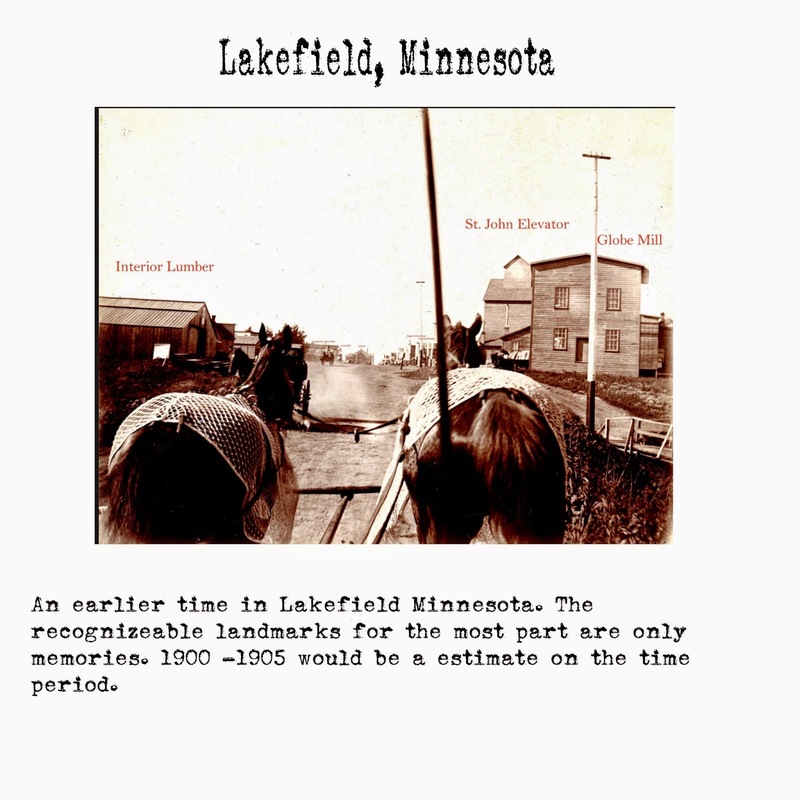 Figure 4: Lakefield, Minnesota 1900-1905. Coutesy of Jackson Historical Society. 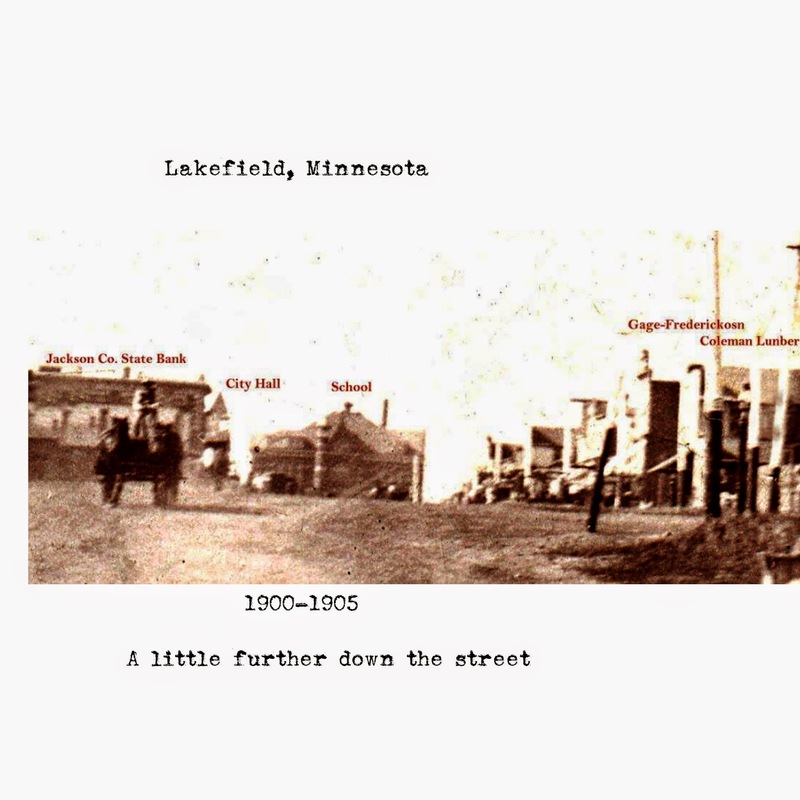 Figure 5: Lakefield, Minnesota 1900-1905. Courtesy of Jackson Historical Society. Relatives, German culture, and a Lutheran community may have been the reason for moving with the chance to farm and raise their children in the open spaces of Lakefield. German families that moved from Illinois to Minnesota also moved because of economic reasons. Their families were growing and they needed more land. In many cases the land they had in Illinois was more valuable so they could sell off the land there and buy more acres with the same amount of money. Minnie and Charles took the opportunity to lease a 215-acre farm and moved with their three children. Four more children followed. Working the land and being a farmer’s wife was new for Minnie. She wasn’t a big woman. She was about 4’11 inches tall weighing 100 pounds soaking wet. Like many nineteenth-century women, she dedicated herself to her family. Her experience may be understood only when we give full credit to the respect she herself gave to her role as a wife and mother. And like other frontier women, she believed that hard work, religious faith, and land ownership were prerequisites for family prosperity. The family attended church on Sunday in town at Immanuel Lutheran. I pictured Minnie on most days, waking up before four, making breakfast of eggs sunny side up, fried potatoes, and toast with coffee and fruit. I imagined that every morning upon awakening she dressed, donned a hairnet to pull her blond hair back, and put on her large flowered apron with a big pocket on each side. She skimmed milk, churned butter, did large washings, and tended her garden. On some days she baked as many as six loaves of bread, and seven pies. While baking and doing the ironing she made supper, and tended the chickens. Besides washing all the dishes, making the beds, and sweeping floors. she sometimes made 100 pounds of butter, sold eggs and canned. All of this was done in addition to caring for her seven children, four boys and three girls ranging in age from two years to fourteen years. Despite days filled with varied activities and surrounded by her children, Minnie missed her mother and sisters. She wrote letters to them, which still exist, where she described her busy life and mentioned her loneliness. Winters in southeastern Minnesota were harsh. In 1894, the average temperature was 4.5 degrees, sometimes dropping to 15 degrees below zero with six feet of snow. One of the coldest recorded years was 1907 when the temperature was minus 15 degrees with six feet of snow on Easter Sunday. The fifteen years Minnie and Charles spent in Minnesota were difficult. Besides mild to severe winters, they endured economic to lean years. They were taxed on their personal property. The value ranged from $ 139.00 to $ 321.00 with taxes from $ 1.17 to $ 2.88 per year. The value of their taxes reflected the amount of their livestock. They owned twelve head of horses, four geldings, four mares, and four colts and four head of milking cows. Other equipment they owned were a buggy, a lumber wagon, two cultivators and a McCormick saw. Figure 6: Bill of Sale Fermazin selling equipment and stock. Why do I think my Dad misunderstood Minnie. I don't think he knew how harsh life was for her on the prairie and how difficult it was to raise seven children after her husband died in 1913. How lonely she must have been after the love of her life passed away. Minnie never remarried but she stayed involved with life and her church. Her boys became deacons in the Lutheran Church. That must have been a wonderful feeling for Minnie. She truly is one to be admired. I admire her so much for all she gave us: family, religion, work ethic, love, and our heritage. I am a Grandma who has many interests and hobbies. I scrapbook, do family history and genealogy, try my hand at writing my memoirs, gardening and learning photography. I am eclectic. I love to read all sorts of blogs. Swabish (sp) or platt Deutsch (low German). © 2012, copyright Nancy Peralta.. All rights reserved. © 2014, copyright Nancy Peralta, All Rights Reserved. Simple theme. Powered by Blogger.